At Miami Skin and Vein in Coral Gables, FL, our patients want to look and feel their best. In Miami, with its endless summers, limitless energy, and sunshine, patients are looking for the latest innovative treatments to help them keep their skin looking young and refreshed. However, it’s important to remember that not all great treatments have to be new. In fact, one of Dr. Patel’s most effective skin treatments, microneedling, has been used for years with great success. 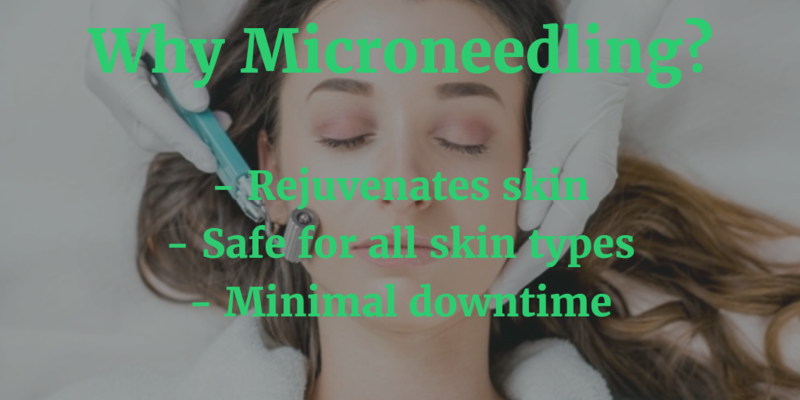 Microneedling, also known as transcutaneous collagen induction therapy, is a gentle rejuvenating skin treatment that uses a medical device consisting of very fine needles to stimulate the body to produce its own collagen. The increased collagen helps to improve the skin’s texture. In recent years, the treatment method and microneedling device itself have been advanced making it safer, gentler, and more effective while continuing to deliver the excellent results patients have come to expect. Dr. Patel uses the SkinPen® from Bellus Medical. For more information about advanced microneedling, call Miami Skin and Vein at 786-618-5039 today to schedule a consultation. We welcome patients from Miami, Coral Gables, Miami Beach, Ft. Lauderdale, and nearby areas of Florida. Why Choose a SkinPen Microneedling Treatment? Microneedling involves the use of a handheld device that is loaded with very fine medical grade needles. The device is gently passed over the skin, with the needles creating microchannels in the skin, anywhere from 0.5-2 mm in depth. This triggers the body’s normal healing mechanism with an associated increase in collagen. The collagen deposition improves skin texture and elasticity, softens fine lines and wrinkles, and improves acne and other scars. The microneedling treatment can be combined with hyaluronic acid-based serums, growth factors, and PRP to further improve results. The microneedling procedure is a minimal downtime procedure. Patients can expect some redness for a day or so. Patients notice an immediate improvement in the feel and radiance of their skin after the procedure. Over the following weeks, collagen is deposited resulting in longer-term improvements in texture, fine lines, and scars. In most cases, a series of treatments is required for best results. 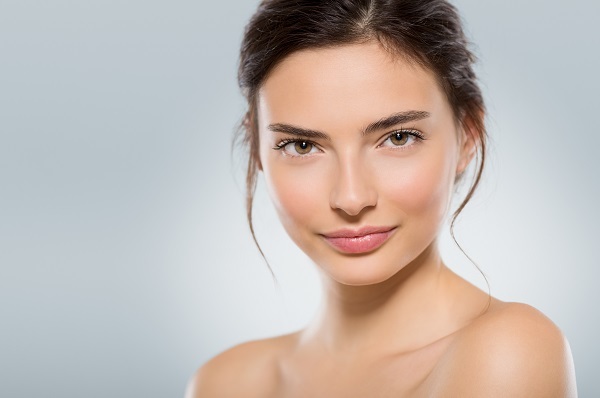 Microneedling can be used for a number of skin conditions and for patients of nearly any age or ethnicity who want to improve the tone and texture of their skin. Unlike lasers, microneedling does not heat the skin. This lack of heat reduces the risk of post-treatment hyperpigmentation. For this reason, microneedling can be used safely in all skin types, including Hispanic, Asian and African American skin which tend to have higher melanin (pigment) content. During your personalized consultation at Miami Skin and Vein, we will discuss your skin concerns and the ways that microneedling can improve your complexion. SkinPen by Bellus Medical is the first and ONLY FDA-approved microneedling device currently available in the world. This approval is one of the many reasons why our patients ask for SkinPen by name. SkinPen microneedling treatments have been clinically proven to safely and effectively treat facial acne scars in patients who are 22 years or older. A customized procedure plan: Patel and his staff with work with you to create a customized treatment plan to address your unique goals for your skin. This will include a recommended number of sessions, session frequency, and maintenance treatments. Minimal discomfort: Patel may apply a topical numbing solution to make the treatment more comfortable. He will also make any adjustments as needed and communicate with you during the session to ensure that you are comfortable. A short treatment time: Depending on the treatment area and your skin concerns, a microneedling treatment can take 30 minutes to an hour to complete. Minimal recovery time: You may experience some mild facial redness after your treatment that will usually fade within a day. Some people may experience other temporary effects such as dryness or skin tightness. Effective aftercare treatment: You will be given a product to apply after your treatment to help your skin retain moisture. Dr. Patel may advise that you wear a sunscreen as well to protect your skin after a treatment session. Generally, a minimum of three treatments are recommended to help you achieve the most effective results. With SkinPen microneedling, you can see continued improvement in your skin for up to six months after your last treatment! Also known as the “Vampire Facial”, microneedling with PRP (platelet-rich plasma) uses a patient’s own blood to rejuvenate the skin. The procedure starts by drawing a patient’s blood. The tube containing the blood is then placed in a centrifuge to separate the red blood cells from the platelet rich plasma. The platelet rich plasma is rich in growth factors and other proteins that can then be used to stimulate collagen and elastin production. Growth factors that are derived from other sources are a potent and desirable ingredient in some high-end skin care products. If you decide to combine PRP with your microneedling treatment, it will be applied topically during and after your session. The goal of microneedling with PRP is to improve skin texture and tone, reduce pore size, tighten and firm skin, and reduce visible signs of aging. And thanks to the healing properties of PRP, your skin will recover from microneedling even faster. The numerous benefits of PRP can also be experienced outside of a microneedling treatment. PRP is becoming more commonly used to help treat hair loss. It can be applied after a Clear + Brilliant laser treatment to enhance your results and speed up the recovery process. While PRP may sound strange, it has been used in medical applications to promote healing after injuries. The cosmetic application of PRP is exciting and innovative, and something that we are proud to offer to our discerning Miami patients. Does microneedling hurt? We apply a topical numbing solution before your procedure to ensure that the treatment will be comfortable. Are microneedling results permanent? While the results are not permanent, you can experience increased collagen production and an improvement in your overall complexion long after your last treatment. You can also schedule additional treatments to enhance your results. Dr. Patel can help develop a schedule to achieve your unique goals. Can microneedling be done at home? You may have come across DIY or at home microneedling devices. These devices often look like paint rollers covered in pins. The truth is that they cannot penetrate the skin as deeply or effectively as an in-office treatment. The pins may be dull or jagged and are not FDA approved. Improper use can lead to skin damage or infection. Our staff is highly trained and we know how to perform a treatment with the proper technique, uniformity, timing, and depth in a sterile environment. Will microneedling make my skin peel? Some people do experience mild peeling, like after a sunburn. While it does not happen to everyone, peeling can be one of the signs that your skin is working to remove old, damaged cells and replace them with new, radiant ones. The peeling you experience should be minimal, as Dr. Patel will give your aftercare directions for keeping your skin hydrated and protected. Miami Skin and Vein is known for being Florida’s premier boutique facial aesthetic practice. From the moment you arrive at our welcoming facility, you see why. Our staff is dedicated to helping you achieve your aesthetic goals while providing a comfortable, enjoyable experience. Dr. Patel is a leader in nonsurgical skin rejuvenation. He will take the time to listen to your cosmetic goals and determine how to achieve them through microneedling. For more information about microneedling, call Miami Skin and Vein at 786-618-5039 to schedule your consultation with Dr. Patel today. We happily serve patients from Miami, Miami Beach, Ft. Lauderdale, and nearby areas of Florida at our Coral Gables clinic.